• 2210 sqft , 3 bath , 4 bdrm duplex “Main level unit; 2nd floor unit” – FOR SALE USD189,900 . 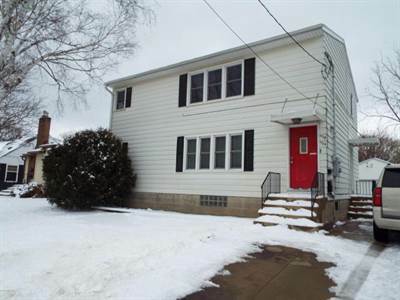 Very nice well kept duplex in SE Rochester. Permanent siding, two car garage, extra off-street parking, many replacement windows, some new carpet, hardwood flooring recently refinished. Two electric services. Outside entrance to basement. High eff furnace. Both units currently rented with just a few months left on each lease. Unit #2-Upper level, 2 bedrooms, 1 bathroom. Lease expiration 7/31/18. Monthly rent: $700.